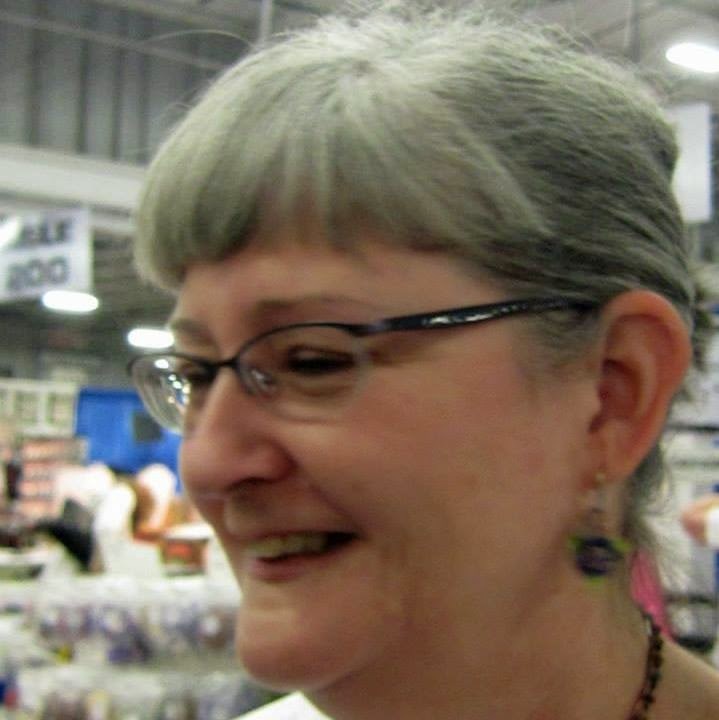 The very sweet and talented Lesley Watt of Thea Elements and Thea Jewellery is this month's component host and designer and she did not disappoint! Lesley created some very cool ceramic button clasps! I asked for a surprise and received a fun organic stoneware one with pretty green glaze. I decided early on that I was going to make a bracelet. A couple of weeks ago, I made my first viking knit and decided to use it in my design. I had some brass caps that I torch-fire enameled with sapphire enamel...my new favorite color! I cut a copper oval and textured it by running it through my Sizzix Big Kick...I really like the result! And, surprise, surprise, I added some Czech glass flowers! Thanks, Lesley! I had fun creating with your cool button! Such a pretty design Melissa! I love the little bundle of beads and little pops of colour! Great design Melissa - I love the cluster effect with the viking knit and the lovelytextural detail. Thanks for taking art. Oh, I was so hoping to see you make viking knit! I love how this turned out! The enameled bead caps are seriously cool, and the little flower beads just finish it perfectly!!! Love the pops of color and the knit!!! Awesome design! Yay for Viking Knit! This turned out great - love the flowers. You are rocking the Viking Knit! I love how you used it here, and how the button clasp is so closely meshed with the focal section. It makes a beautiful little cluster with the Czech glass. Oh, to be able to do a viking knot as well as you! I adore the wrist corsage :-). Lovely balance and interest. Your viking knit looks fab! Nice bracelet! Viking knit is very cool looking. I've never done it but your bracelet is making me want to try! Melissa your bracelet is great. Kudos to you for conquering viking knit. You did a wonderful job of combining all the elements. Your enameled bead caps are way cool. This is so lovely! I have "learn viking knit" on my long list of "to do's"! Your focal looks awesome, too! Beautiful bracelet! your viking knit is exquisite. i can't believe it's your first time. 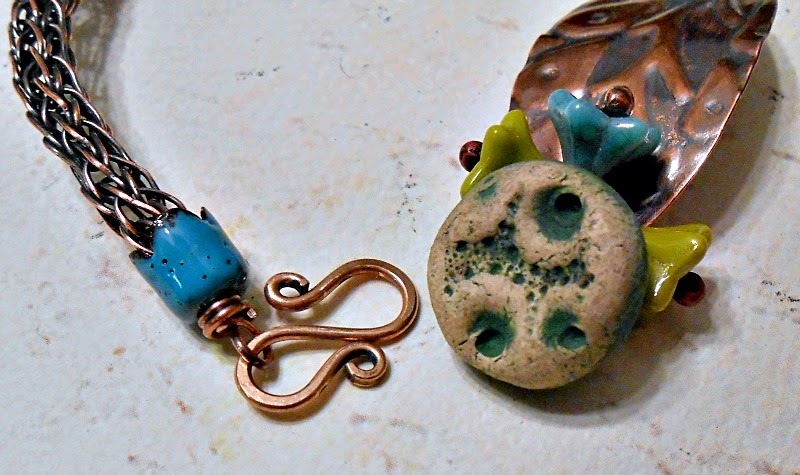 Love your combination of enameled end caps and the copper disc with the green flower clasp and flowers. Beautiful! I love the viking knit element! I just love this bracelet! Great job. 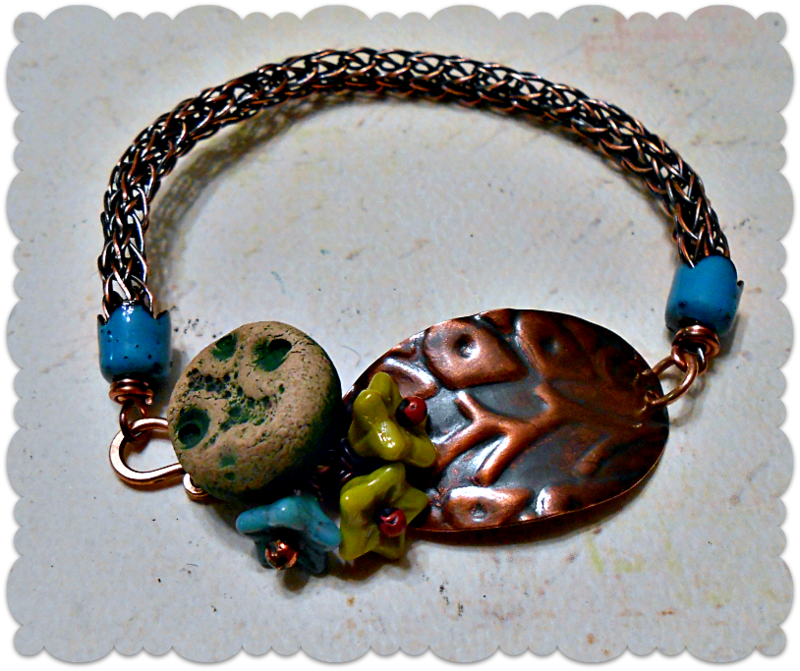 Ohhh, this bracelet has so many eye-catching elements to it. Viking knit is one of those skills I keep saying I'm going to learn, especially when I see it incorporated so effective into a design like you have here. And those enameled bead caps! Yum. 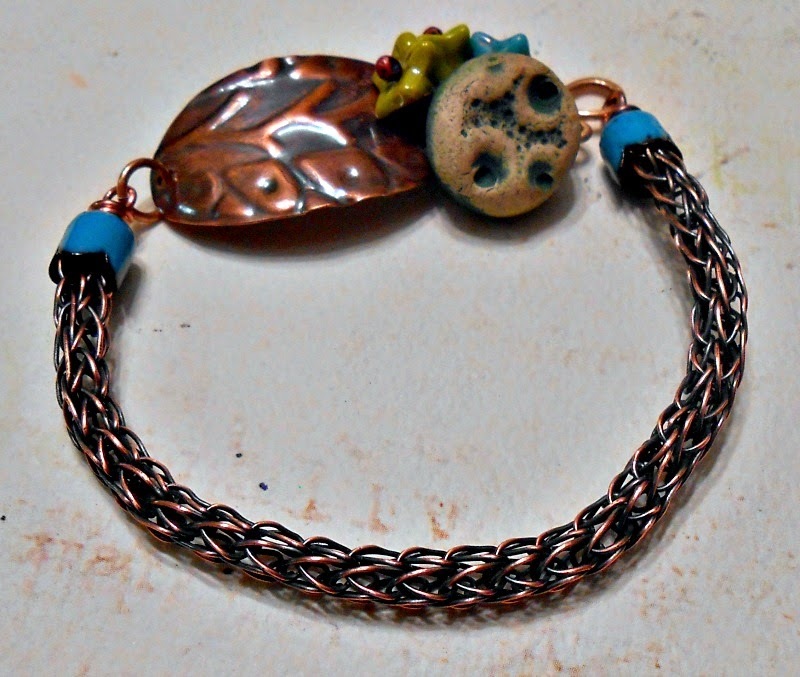 The copper oval fits flawlessly as the 'focal' to this but doesn't compete with the little flowers and clasp. Yeah, this is just beautiful!! Wow! The Viking knit is perfect...love everything about this bracelet! Great bracelet! Your viking knit is fantastic! And so are your bead caps! I love reading your comments!!! Melismatic Art Jewelry aka Art. Life. Love. What's New at Chinook Jewelry: Name that glaze contest! Made jewelry after a long time. Laytonville Art Walk - Saturday! My blog is moving. Bags are packed and ready to go. Copyright 2008 - 2014, Melissa Meman and Melismatic Art Jewelry. All Rights Reserved. Awesome Inc. theme. Theme images by blue_baron. Powered by Blogger.